Available Now! 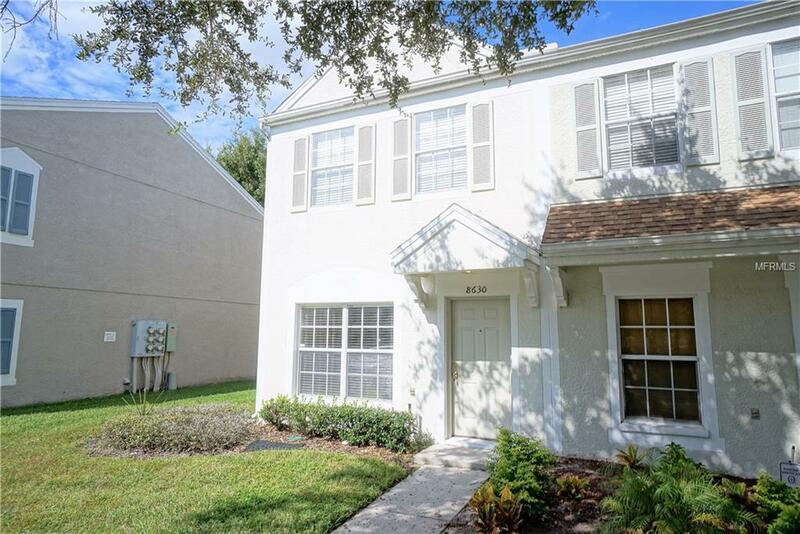 Perfectly located New Tampa Townhome nestled in a private GATED community of Hunter's Key. Coveted End Unit with wooded nature conservation views. This 2-bedroom, 2.5-bathroom, 1,152 SF offers an open floor plan with Living room / Dining room combo, carpet and laminate flooring, blinds, ceiling fans, and a screen enclosed patio with extra storage closet. Kitchen includes refrigerator, range, dishwasher, microwave, pantry and full size washer and dryer. 1-assigned parking space, water, sewer and trash included in the rent. Walking distance to Flatwoods Biking/Walking Park, Movies, shopping, dining, & entertainment, Short drive to I-75 and quick trip to USF & Moffit Cancer Center. *****If you decide to apply for one of our properties, there is a $75 per adult application fee that is non-refundable and a $150 Lease Coordination Fee. Anyone aged 18 or above who will be residing at the property must apply. We will (1) check your credit report; (2) check for any past evictions; (3) verify your employment, if applicable; (4) personal income must be sufficient and verifiable; (5) verify your previous landlord references; and (6) perform a criminal background screening; (7) be aware that some associations also have application fees. We encourage you not to apply if you have bad credit references, have ever been evicted or have poor rental history.